As one of the newest members of the Board of Trustees, Betsey Schmidt ’89 defies the stereotypes of the Ivory Tower. 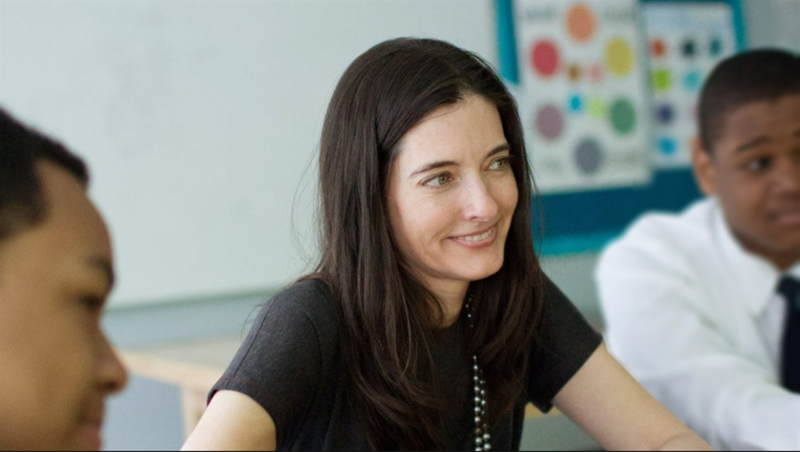 Working as the Chief Curriculum and Innovation Officer of Ascend Learning, she also has an extensive background in academia and freelance writing, all while finding time to continue playing ice hockey. Sitting down in Red & Black Café before a busy Trustees weekend, Schmidt was eager to talk about everything ranging from Betsy DeVos to helping Wesleyan students pursue fulfilling careers in education. Coincidentally, Middletown elementary school students were scurrying about the café to get snacks with their Wesleyan tutors, a volunteer job Schmidt once held during her days as a student. Starting off with the hot topic of Secretary of Education DeVos, Schmidt explained how the public perception of charter schools—in some ways increasingly distorted by her appointment to the Trump Administration—differs from the work she does with Ascend Learning, a progressive, student-centered network of nine schools in some of the most educationally under-invested communities in the country. When asked about the extent to which DeVos can be a risk to American education as a whole, Schmidt took a nuanced outlook amid widespread panic in the field. Aside from Voucher programs, Schmidt also noted that her approach to charter schools is one that seeks to help all schools, rather than simply trying to out “compete” public schools in the way that those with a free market approach have tried to frame things. 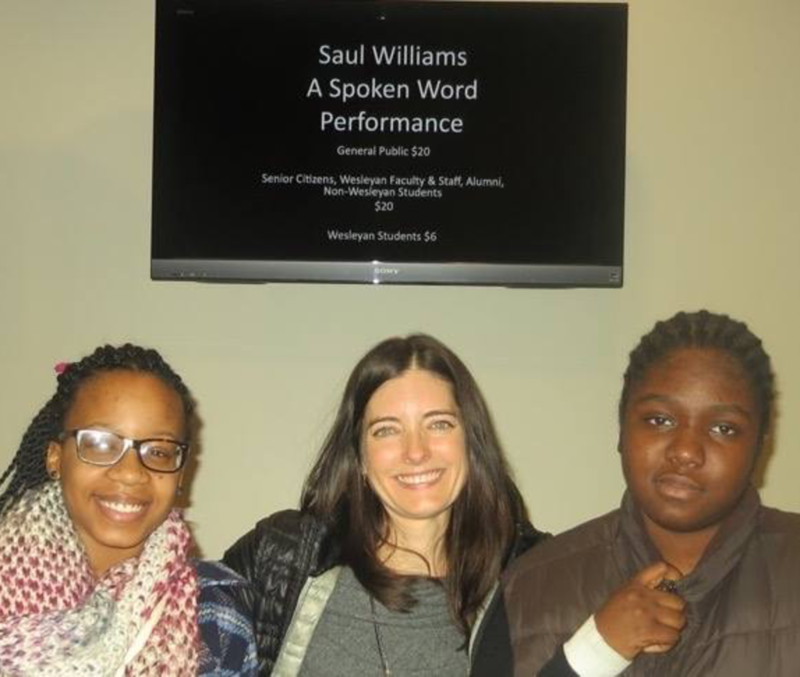 Schmidt (center), celebrates the publication of two poems by Ascend scholars, Leah Matthias (left) and Lewisha Wright (right) at Crowell Hall after a performance by Saul Williams. Before arriving at Ascend, Schmidt worked at The New Yorker while pursuing a career in academia at night school. There she found an invigorating community of intellectuals and writers similar to the one she enjoyed at the University, where she was a disciple of Professor Anne Greene as a writing tutor. Aside from her literary pedigree and management skills, Schmidt also has grit and toughness on the ice as a hockey player, going from playing with the boys growing up all the way to Wesleyan’s inaugural women’s team. Between her busy schedule, she still manages to play on Monday nights in Prospect Park’s rink. Before Schmidt left to interview a student looking to work as a fellow with Ascend this summer, the conversation turned to the broader implications of education, charter schools, and beyond, with the advent of big data and what some scholars, such as Wesleyan Professor of French and Medieval Studies Jeff Rider, call the “numeralisation” of life. Schmidt argued that beyond producing cut and dry “results” for her schools, there’s a deeper social mission to the work she does. With so many immeasurable factors facing her students, Schmidt takes an all-hands-on-deck approach to sorting through data, developmental psychology, and the humanities to find what works best for each student and, ultimately, what works best for the future of the country. This article has been corrected to indicate that Schmidt wrote her PhD dissertation on Emily Dickinson, not Elizabeth Bishop, whom she wrote her senior honors thesis on while at Wesleyan.